This is the Bentley version of the highly successful Rolls Royce Silver Shadow, and is a series 1 model of which only 1,700 were made as opposed to 36,000 Rolls Royce. In the liberated 60′s the T1 Silver Shadow Bentley was the preferred choice for anyone who thought they were swinging from David Bailey to the Beatles and the Stones. Our T1 Silver Shadow Bentley is very rare and Very few of the Series 1 cars remain in such pristine condition. 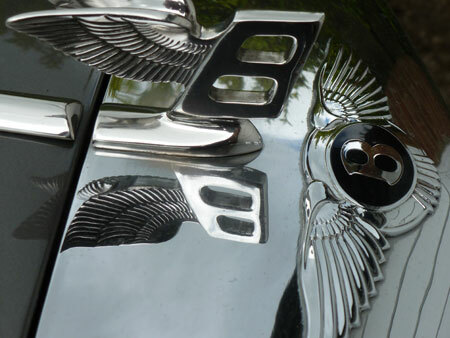 The T1 Silver Shadow Bentley is a direct link with her sister the S111. Although slightly more modern she has a magnificent ‘Chippendale’ style dashboard in burr walnut and beautifully figured picnic tables, all the wood complementing the warm light tan leather upholstery. She is the most affordable classic car in our fleet. Her livery is dark silver, which sets of a pale wedding dress beautifully along with the contrasting light tan upholstery and dark carpets. There are side vanity mirrors in the quarters and walnut picnic tables in the front and rear.